Chief of Army Staff General Bipin Rawat on 15 January said the ceasefire violations by Pakistan are frequent but the Indian Army retaliates to it effectively. "Ceasefire violations by Pakistan happen frequently, to which we respond effectively. 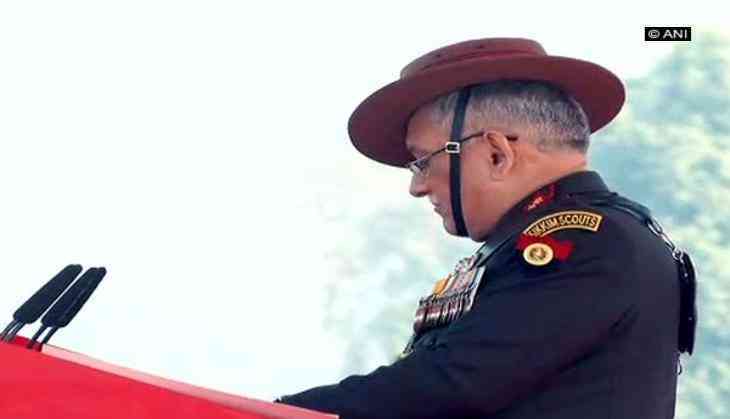 We will take even stronger steps against our enemies if we are compelled to do so," General Bipin Rawat said, while addressing the army officials on the occasion of 70th Army Day. General Bipin Rawat, further talking about the same, said that Pakistan keeps helping intruders enter India and if compelled India will take strong actions. "Pakistan Army keeps helping intruders, but we will retaliate strongly if we are forced to do so," he added. General Bipin Rawat also emphaised, "Our intelligence based and people-friendly operations in the north-east have managed to limit terrorism to a large extent." General Bipin Rawat was addressing the Army officials on the occasion of Army day and awarded Sena medals at Cariappa Parade Ground, here. Army Day, celebrated annually on January 15, commemorates the valiant soldiers for their sacrifice to the nation and its citizens.